A superb duck foie gras with 3% black truffles prepared by Castaing in South West France. 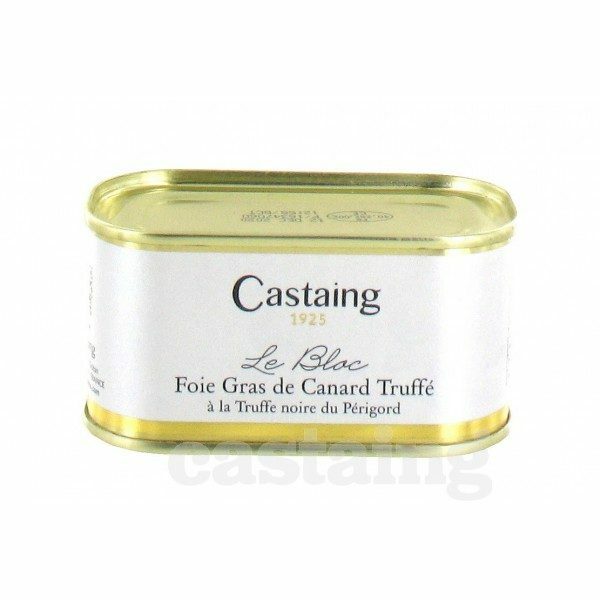 This outstanding foie gras is characterized by it’s delicate flavour and smooth texture and makes a delicious starter for two for a special occasion. Duck foie gras, water, black truffles 3%, port wine, salt, spices, sugar, anti-oxidant (sodium ascorbate), preserving agent (sodium nitrite).